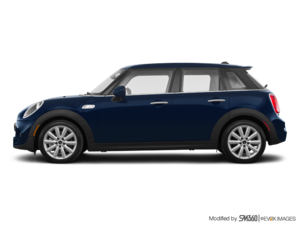 Owned by BMW, MINI recently added a new 5 door MINI Cooper to its 2015 car lineup. In comparison to the 3-door MINI, the 5-door MINI is 161 mm longer and 11 mm taller. It is offered in two versions: the base 5-door Cooper and the 5-door Cooper S. Both are front wheel drive vehicles. 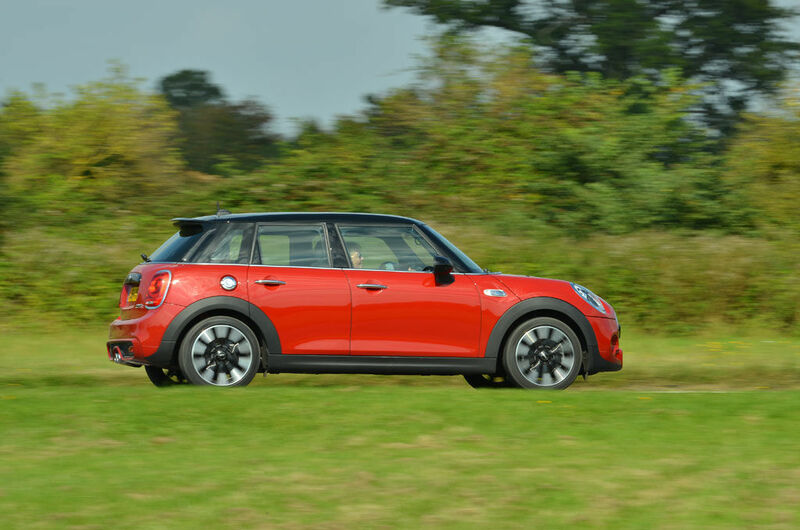 To distinguish the new 5-door MINI from the MINI Countryman, also a five door car, the latter now only comes in an all-wheel drive configuration. The base 5-door Cooper is equipped with a three cylinder 1.5-litre turbocharged engine producing 134 horsepower and a162 lb-ft of torque. The 5-door Cooper S comes with a four cylinder 2.0-litre turbocharged engine generating 189 horsepower and 207 lb-ft of torque. Both engines can be mated to a six-speed manual transmission or, optionally, to a six-speed paddle-shift automatic transmission. The car can be driven in three different modes: Green, Mid and Sport which are controlled by a rotatory knob situated on the center console. Each mode differentially affects several parameters including throttle reactivity, steering response and even the acoustic output of the car. Given the spirited nature of the MINI, and probably of its owners, it is likely that the sport mode will remain untouched most of the time. The interior is nicely appointed with quality materials throughout, supportive sport seats and ergonomically appropriate controls and instruments. It’s easy to find a comfortable driving position, even for tall individuals. 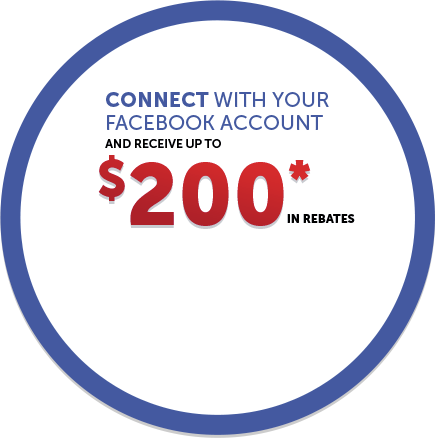 Cabin space is appreciable with ample leg and hip room. Two adults can easily access the rear seat and cargo space has been increased by 33% in the 5door MINI. The 5-door MINI comes with several standard features including air conditioning, Bluetooth phone connectivity, USB interface, electrically adjustable exterior mirrors, front fog lamps and a multi-function steering wheel with cruise control. There is a long list of options, some grouped in packages, that allows one to truly personalize the 5-door Mini. The extra length and the addition of two doors in the 5-door MINI do not affect the intrinsic qualities of the car: strong acceleration, forceful passing ability and superb handling. It has become a well-founded cliché to state that the MINI behaves like a Go-Kart. Undoubtedly, the MINI provides the best and most rewarding driving experience of any car in the sub-compact category. 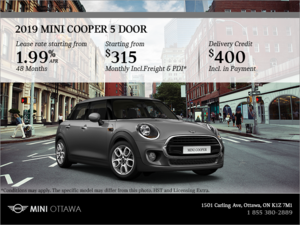 To learn more about the new 5-door MINI, contact us today at MINI Ottawa!